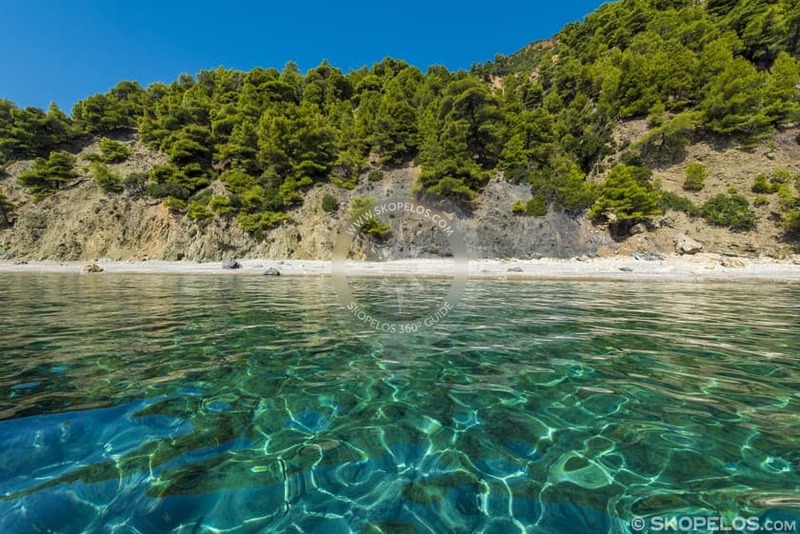 Crystal clear waters, endless blue, white pebbles, pines coming out of the sea and spreading to the shore. 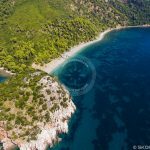 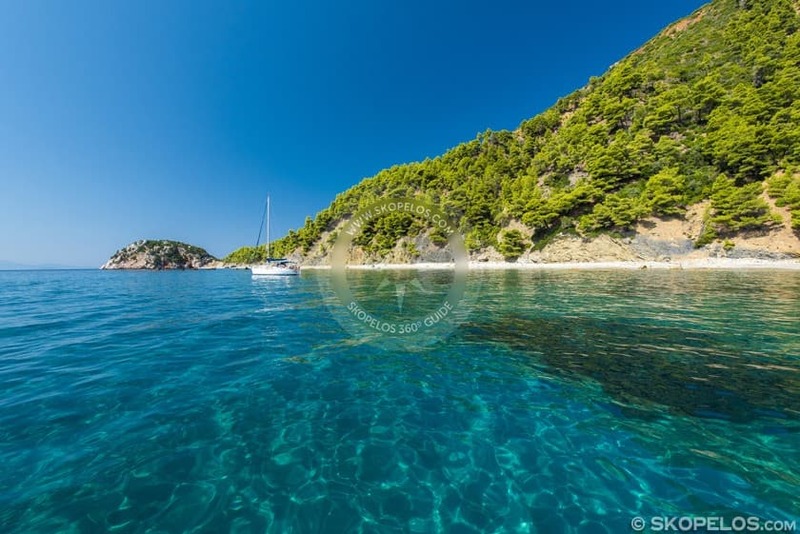 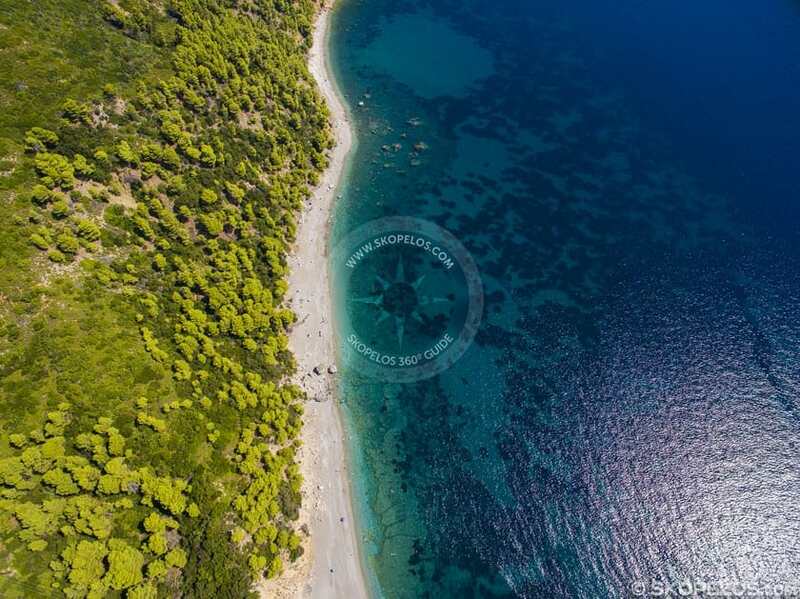 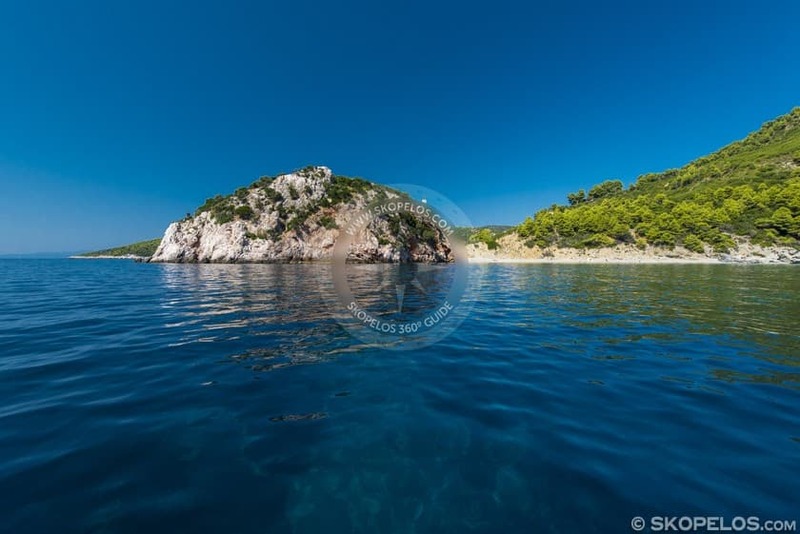 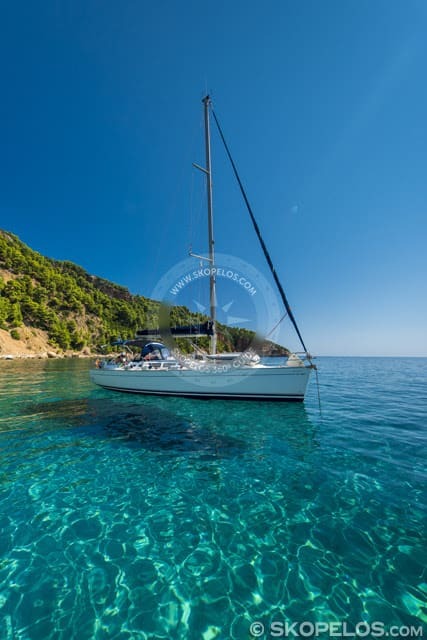 You will find this terrestrial paradise on the Velanio Beach, on the south side of Skopelos. 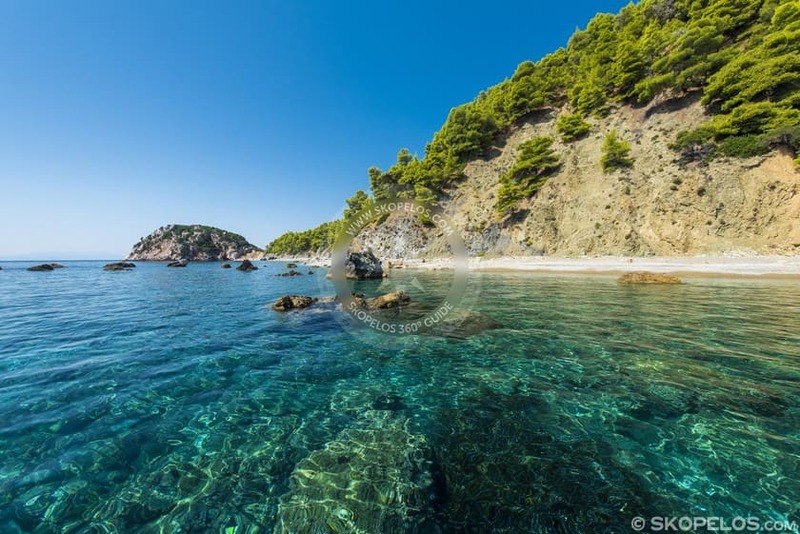 To get there you have to cross Stafylos beach and follow the path on the rocks. 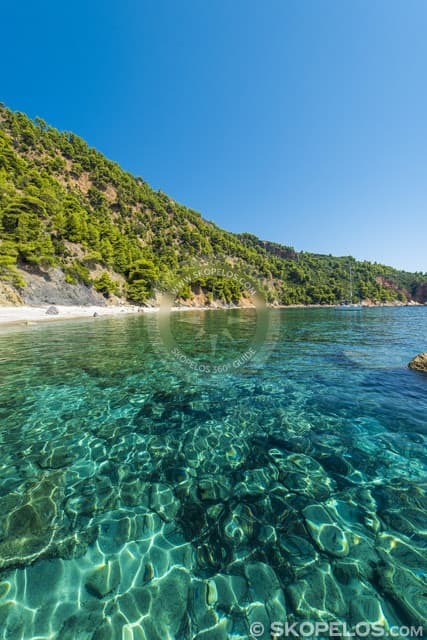 Velanio has officially been declared a nudist beach. 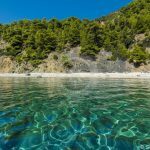 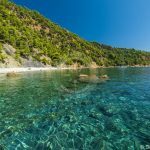 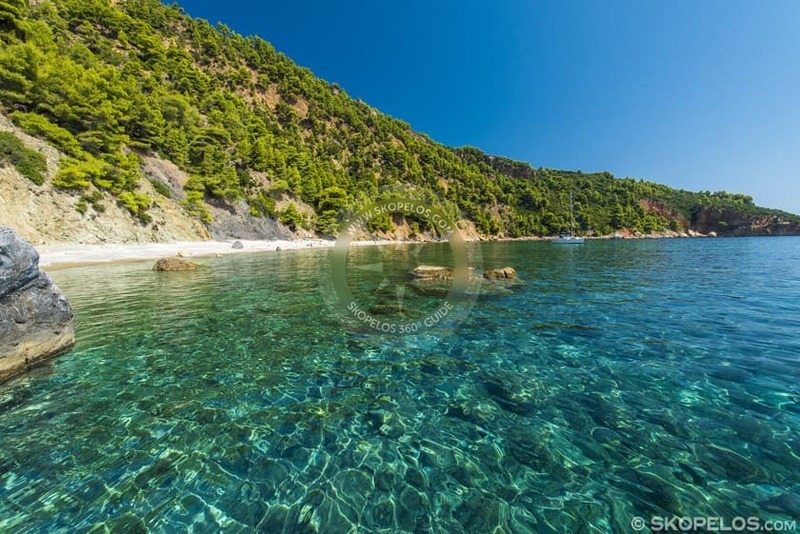 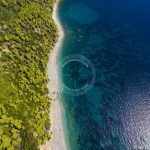 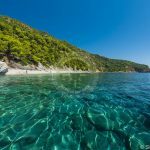 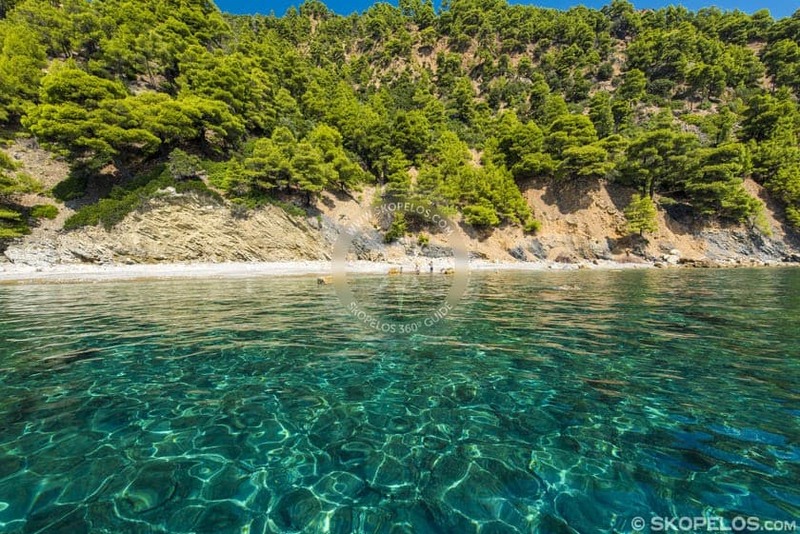 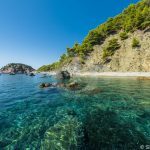 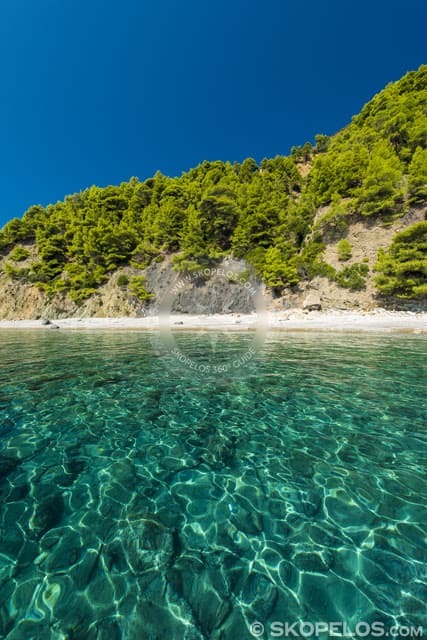 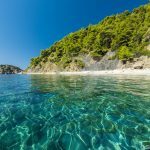 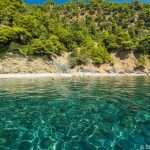 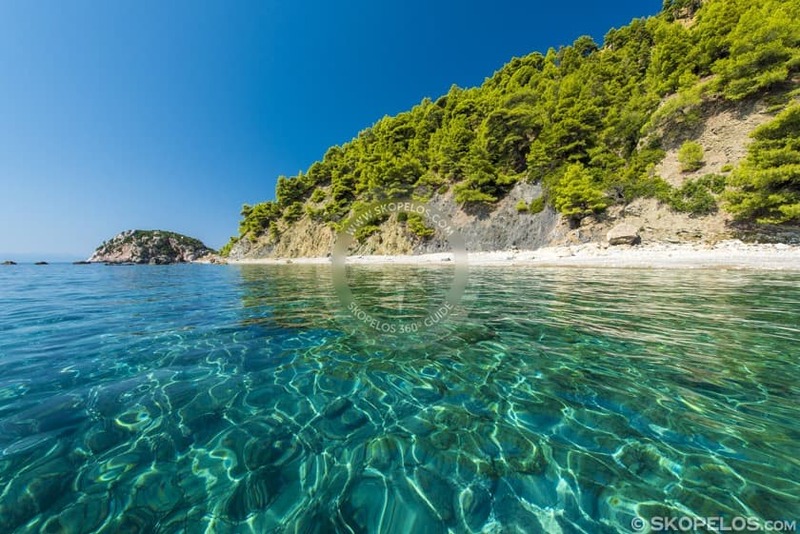 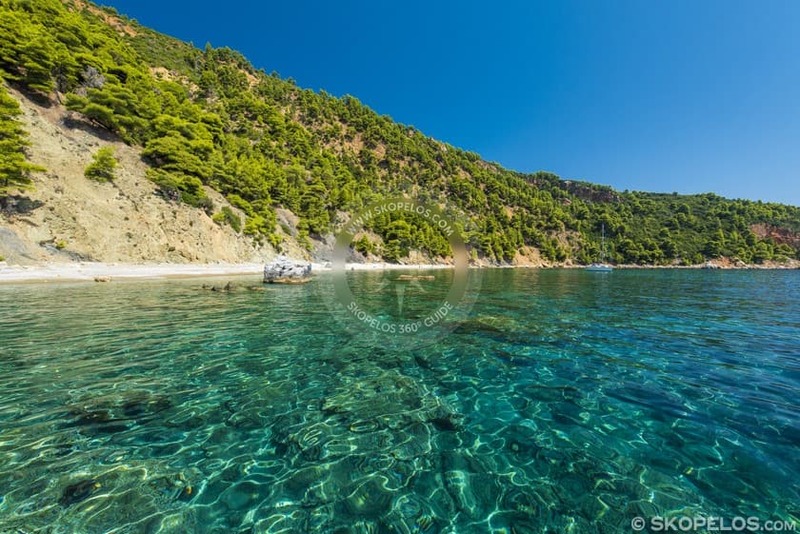 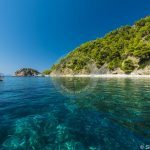 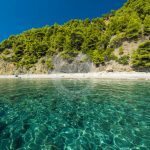 It is the only nudist beach in Skopelos. 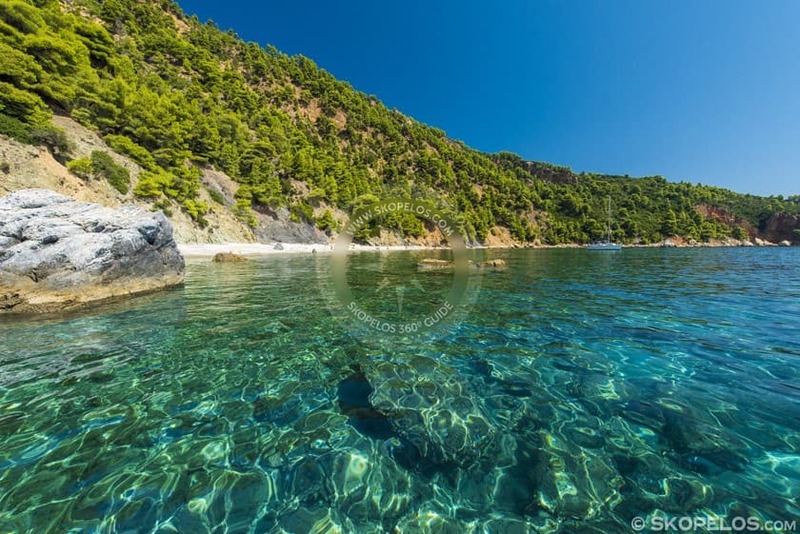 Velanio beach has white sand, small pebbles, crystal clear aquamarine waters. 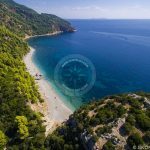 Since 2017 there is a beach bar, where umbrellas and sun loungers are also available. 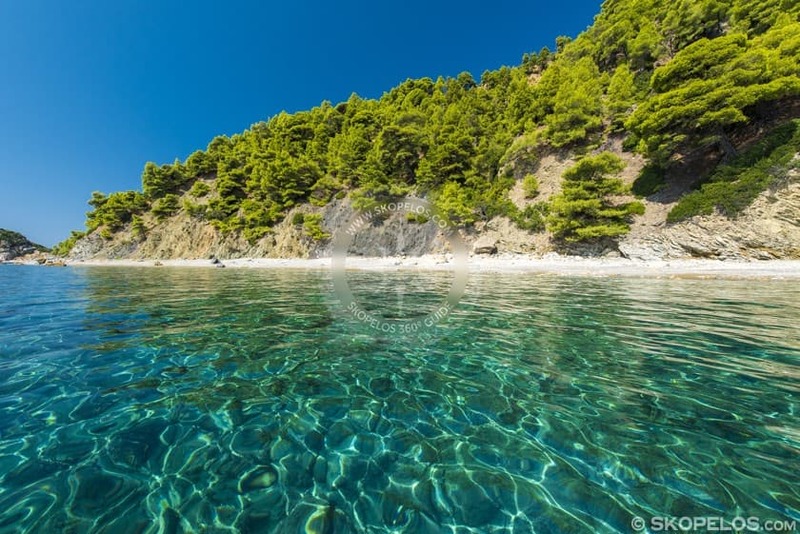 The dream landscape has not received human interference, so while swimming you only meet the beautiful beach, the blue sky and the green pine forest. 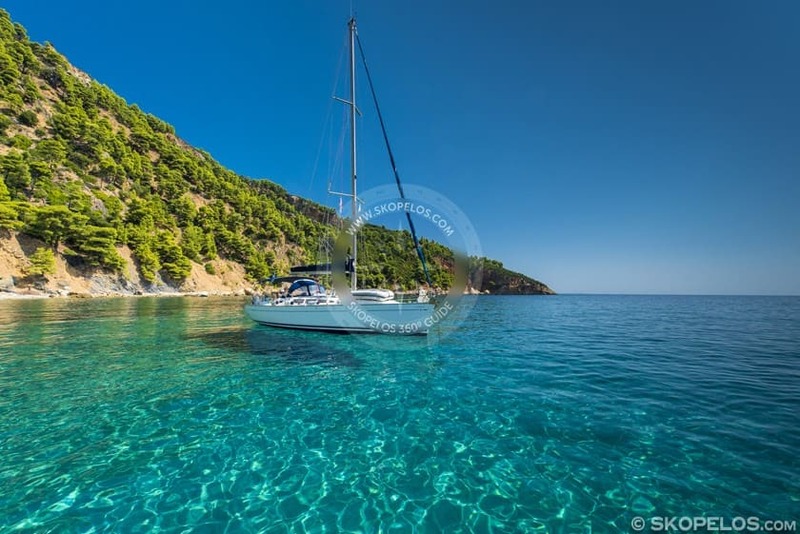 It also has an excellent seabed for exploration. 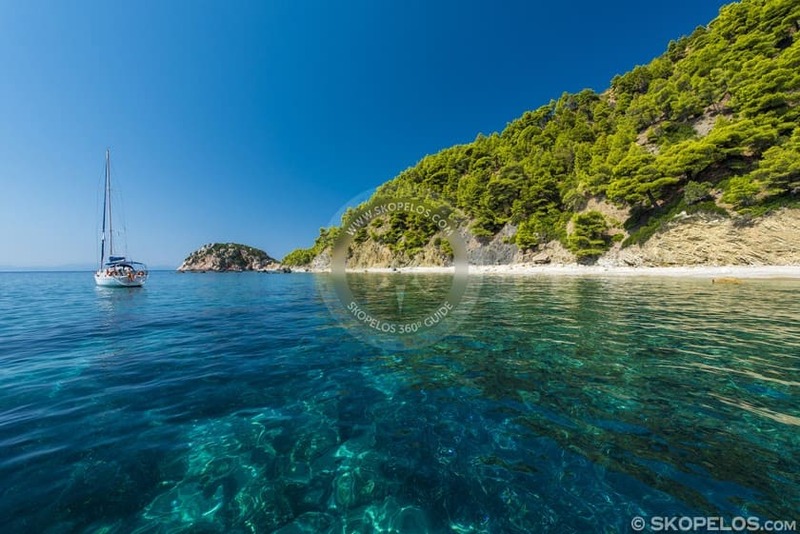 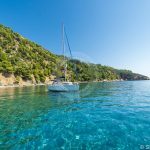 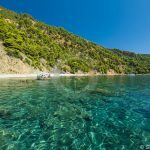 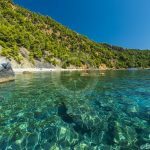 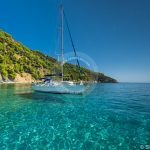 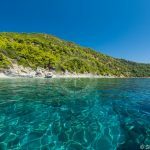 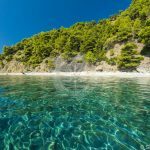 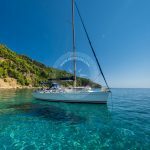 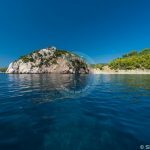 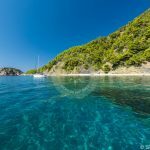 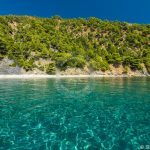 Velanio is approximately 4, 4 km from Skopelos Town and port. 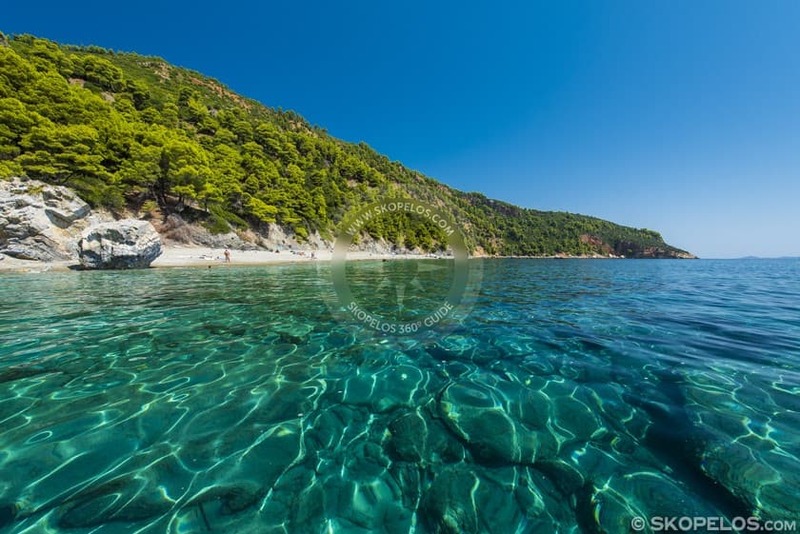 It is about 7-8 minutes from Stafylos beach. 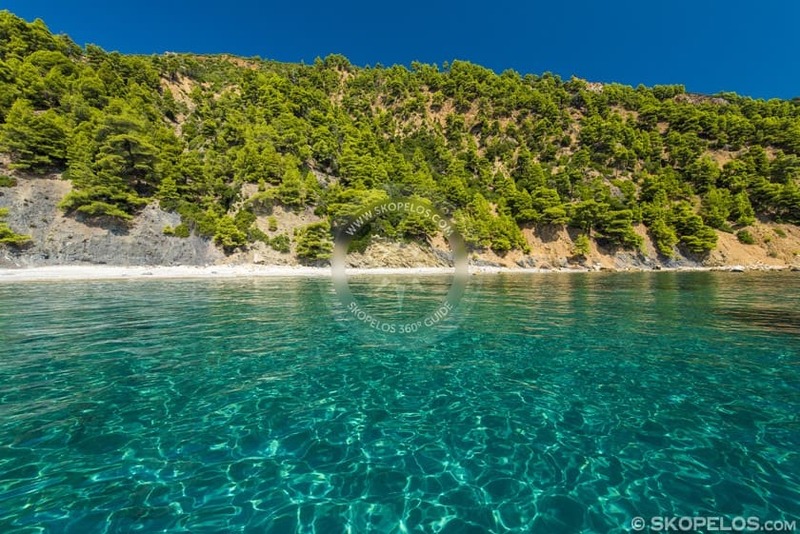 You can also get to Velanio beach by swimming from Stafylos beach. 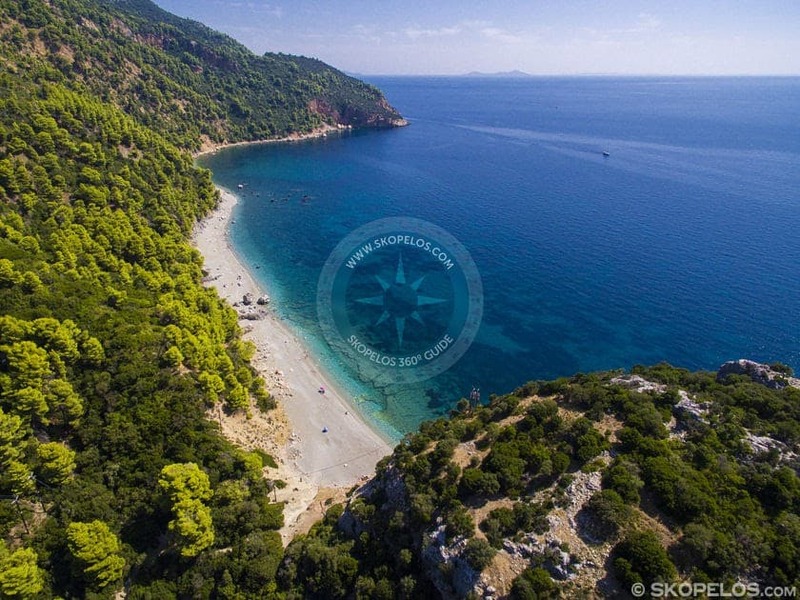 The route from the country is ideal for hiking. 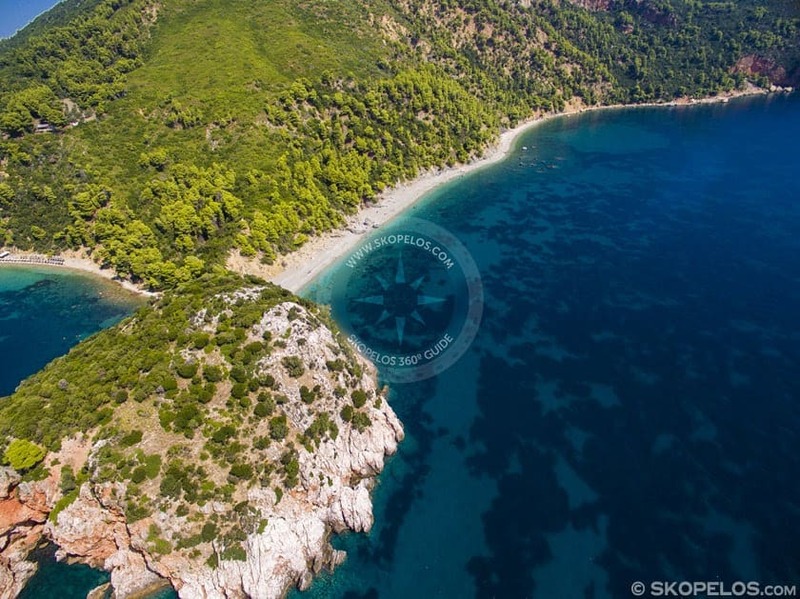 For the lovers of history it is worth mentioning that behind the path the grave of Staphilos was found. 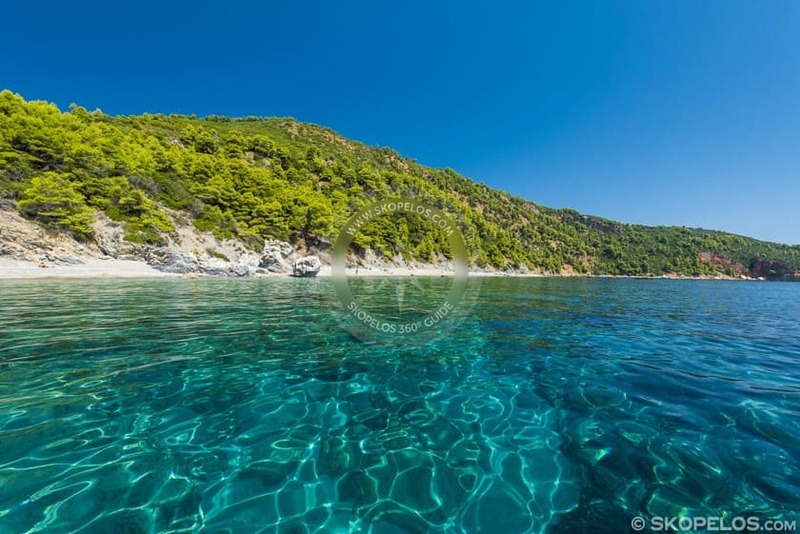 As the myth tells us, Prince Staphylos had participated in Jason’s Argonauts Campaign. 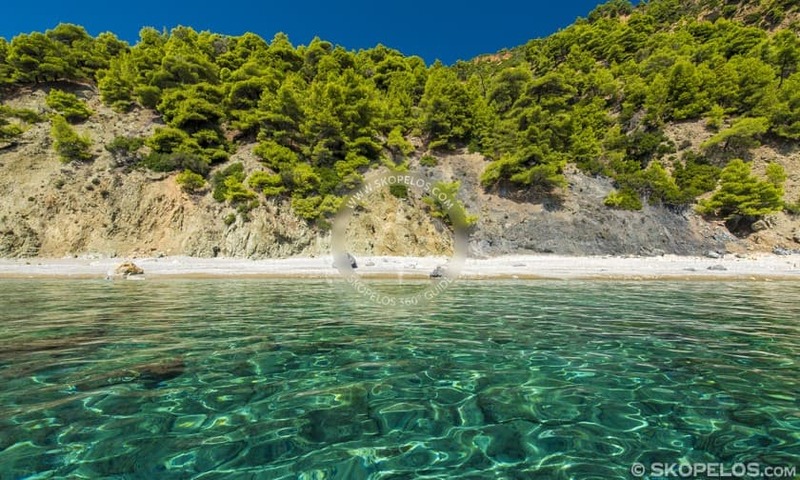 At the Archaeological Museum of Athens you will admire part of his sword. 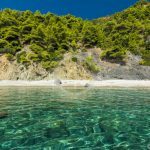 If you stay on Velanio beach shortly after the lovely sunset, you will come across free-range goats that come down to drink sea water. 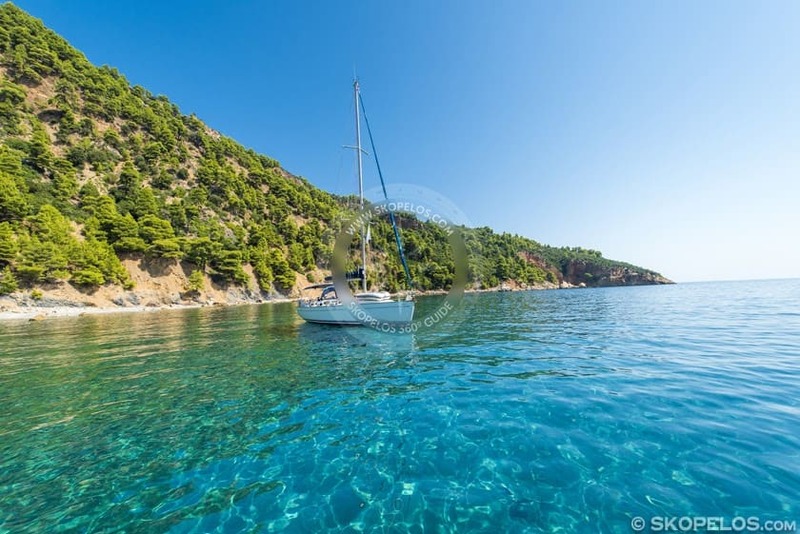 If you come by boat watch out because first there are many rocks and secondly at the point where the two beaches separate there is a network of power cables.